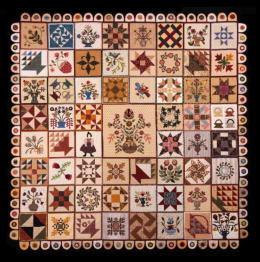 Join us May 31 - June 2, 2019 at one of the largest quilt shows in New York State. 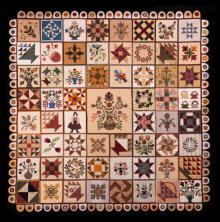 As in the past, we expect over 3,500 to visit the show to view 600 fabulous quilts that include professionally judged entries, club member entries, and special quilt exhibits. With at least 60 vendors, there will be plenty of opportunity to shop for fabric, machines, longarms, and quilting related items of all kinds. QuiltFest Workshops taught by: • Paula Nadelstern • Cynthia England • Maria Shell QuiltFest Lectures presented by: • Cynthia England • Maria Shell • Eugenia Barnes • Antonia Hering • Barbara Korengold Only a few workshop spaces available, ASL provided, register today. For the most up to date show information on workshops and lectures, events, quilt entries (open show), or to register a group (savings on admission), visit the Genesee Valley QuiltFest website for all of the details. 2019 Raffle Quilt “Genesee Valley Friendship Quilt” Pot holder style. Read more Raffle tickets available from GVQC members and at club meetings, $1 each.